In a city growing as quickly as Nashville, road closures and detours are a part of the growth that can't be avoided. NASHVILLE, Tenn. (WTVF) — As a city that is in continuous growth and has constantly been labeled the "it" city, Nashville has plenty of good things going for it, but with any growth, there are growing pains. 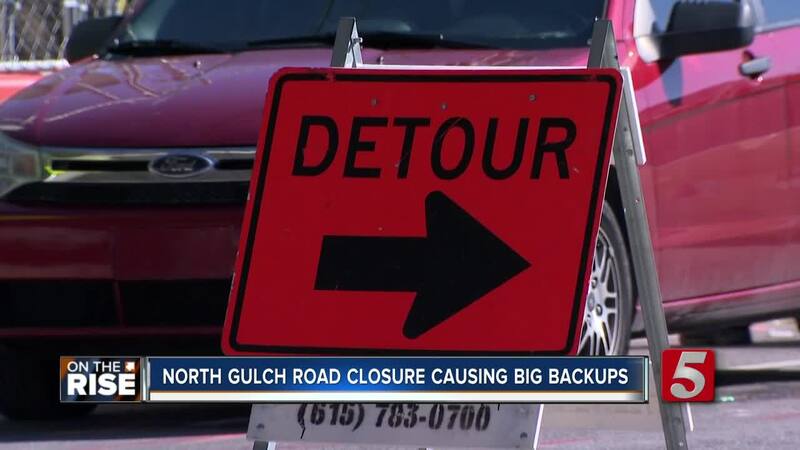 Driving through Nashville has become a more difficult task with more cars on the road, but beyond that, numerous roadways are closed to accommodate construction, such as the new Asurion headquarters being built in the North Gulch. 11th Avenue had been shut down for a week with plans to keep it shut down for another week. While the closure forces detours and provides plenty of headaches, it is a necessary project, as most are that cause road closures. “We’re going to get some municipal benefit out of that in the long run, but in the short term, we are limiting mobility options for anyone trying to be around that part of downtown, and I think that is something that we should continue exploring," O'Connell said. That could mean limiting the amount of closures, or increasing the fee for closures. Currently in Nashville, a street closure permit in a "high-impact area" such as 11th Avenue is $100 for up to 5 days, then $20 per day after that. Other cities have much higher fees, but a higher fee could dissuade some companies from moving their business to a city with high fees.